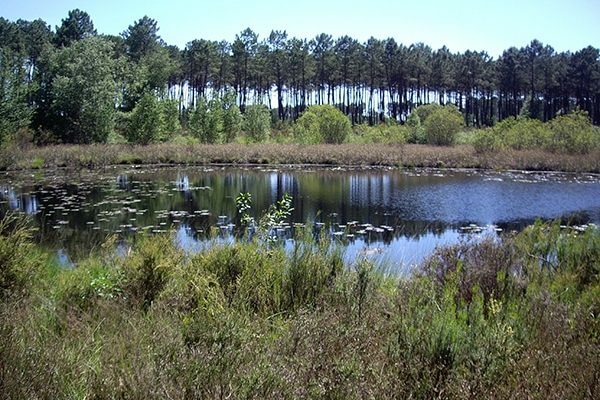 The Landes de Gascogne Regional Nature Park is a haven for nature-lovers. Walks, sport, art and relaxation await you in South Gironde, in a region respectful of the values of eco-tourism. There is no shortage of lakes in the Landes de Gascogne region. Head for the Lake of Lamothe in Hostens and hire canoes, paddleboards or pedal boats, or if you prefer swimming or something lazier, stretch out on the white sandy beach and enjoy the leafy landscape of South Gironde. At the Lake of Taste in Captieux, take advantage of the free facilities on offer on certain summer days to discover different sports such as paddle-boarding, slack-lining or canoeing. 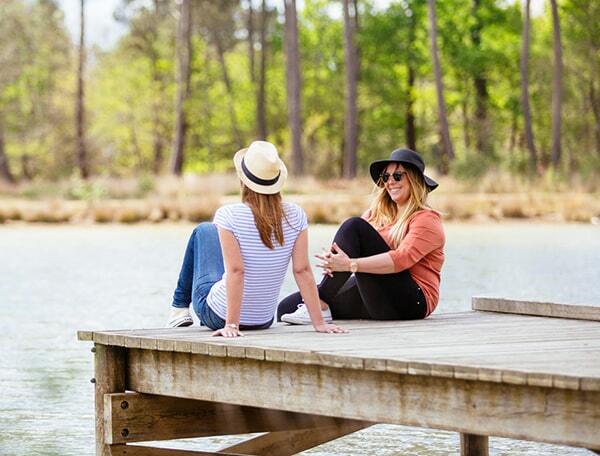 For the sportier among you, try the health trail in the pine forest around the lake! Discover the Lagunes du Gât Mort in Louchats, a classified nature reserve. With its lakes, lagoons, pines and pools, this true haven of peace out of time awaits you in the heart of the Landes de Gascogne Regional Nature Park. The Landes de Gascogne Regional Nature Park is also home to the natural site of Doucs de Cazalis: huge sand dunes which tower over the pine trees. 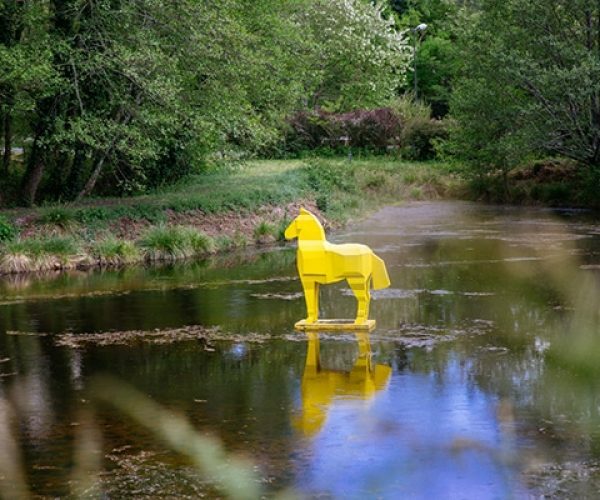 In the heart of the Landes de Gascogne Regional Nature Park, in Saint-Symphorien, Bourideys and Captieux, discover the Contemporary Art Forest, an ingenious trail blending nature and art. After the Klaus storm, the forest was reborn, enhanced by various works of contemporary art. Along the way, you will understand how the artists respectfully made good use of the surroundings to create original artistic works... this trail is a must in South Gironde! In 2025, this trail will consist of some one hundred works over dozens of kilometres! 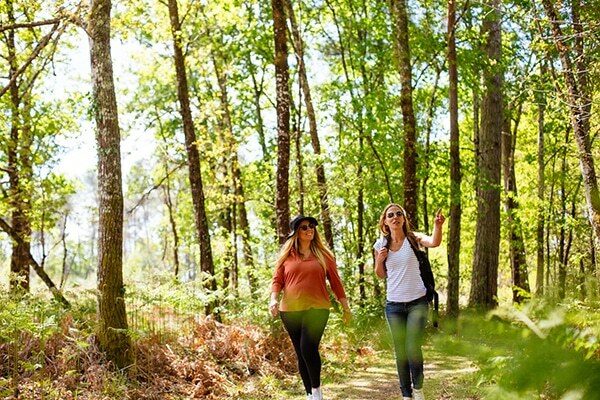 The Landes de Gascogne Regional Nature Park in South Gironde is a vast region offering wonderful hikes on foot or by bicycle. The Saint-Symphorien circuit will lead you in the footsteps of the famous author and journalist François Mauriac… with enchanting landscapes all the way. The pines trees of Gascony will provide you with shade all throughout your visit of the Saint-Symphorien area. By bicycle with family or with friends, the Mios-Bazas green trail is a pleasant itinerary in the heart of the Landes de Gascogne forest. Stop for a picnic at the Hostens leisure park or a Gascony stopover in Bazas, Saint-Symphorien or Uzeste. 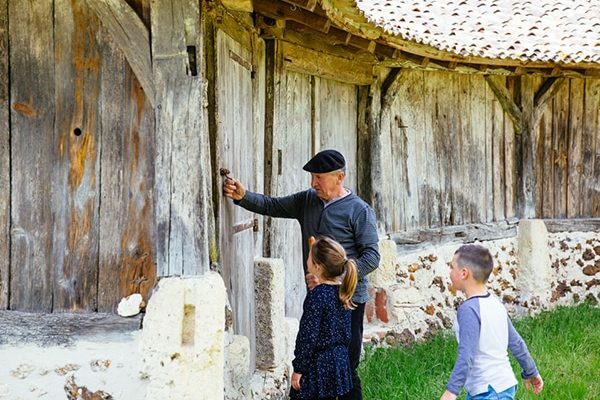 To discover local traditions, head for Sabres in the Landes department. The Marquèze Eco-Museum takes you back in time in on a historical locomotive to the district of Marquèze recreated as in 1890. Sample a traditional pastis pastry, or learn a Gascon dance! Learn more about the history of Gascony through the exhibitions at the Pavillon de Marquèze. Treasure hunts and activities for children are organised at weekends and during school holidays.